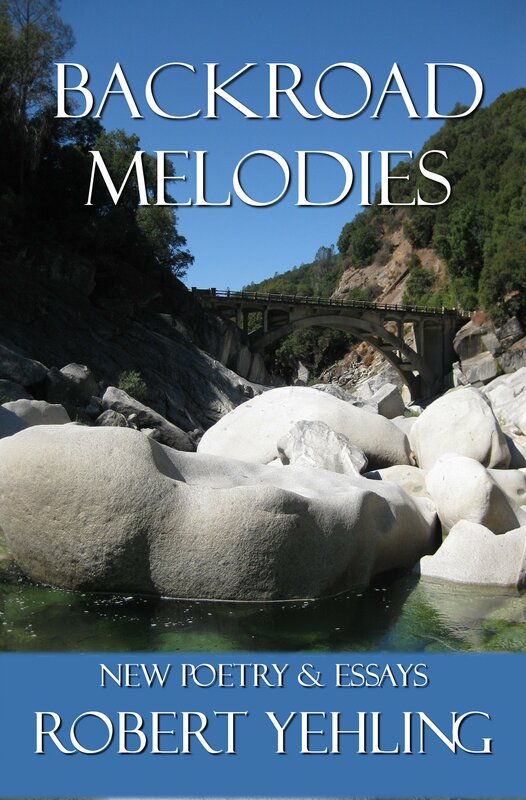 In this new collection of more than 50 poems and essays, Robert Yehling (Shades of Green, The River-Fed Stone, The Champion’s Way) returns to a prime source of inspiration and fulfillment – the back roads. Blending challenge with adventure, and natural observation with awakening, he uncovers the textures, rhythms, loves, tears, laughs, and ever-renewing cycle of life off the beaten path – visiting a few cultural icons along the way. Backroad Melodies reminds us of those treasure-laden roads deep inside ourselves that we all too rarely explore. “With clarity of thought and mastery of word order, Robert Yehling alarms the conscience, stimulates the brain, tugs at the heart, and tickles the funny bone—all to excess.” —Charles Redner, poet, author, publisher of The Hummingbird Review “You’re talkin’ my language. And drivin’ my landscape. The colors. The sky…” —Luis Alberto Urrea, American Book Award-winning author of The Hummingbird’s Daughter and The Devil’s Highway, finalist for the Pulitzer Prize.